A well designed patio is akin to adding square footage to your home. When done properly, a comfortable patio design should feel like another room in the house; a great place for entertaining friends and family, relaxing with a cup of coffee or herbal tea in the morning, or finishing off the day in style. 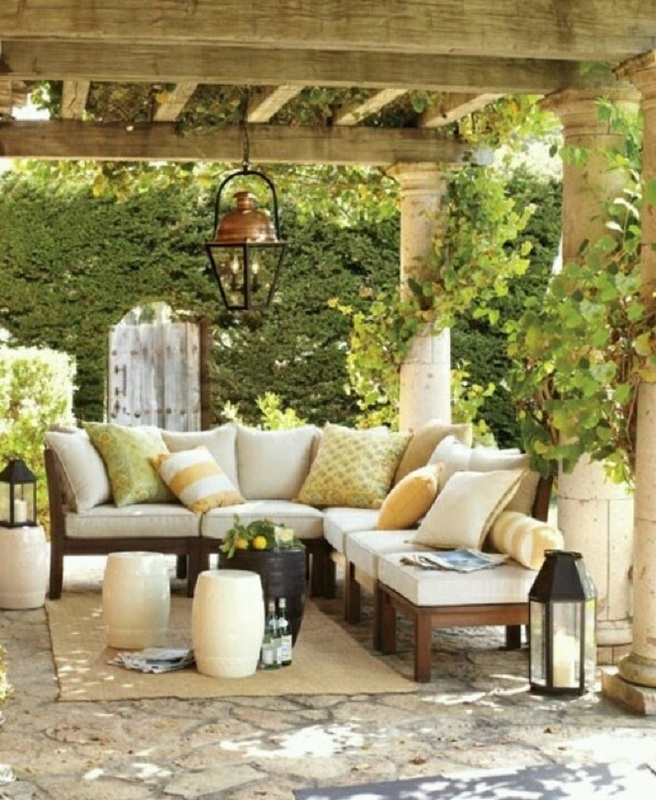 The best patio ideas for backyard designs include using popular décor such as light fixtures, potted plants, fireplaces, or outdoors bars. Look at some of our 10 patio ideas, and get some inspiration. A dining room created of wool and a white bed with a table set for two. The furniture is arranged outside on a carpet with a white sheer curtain surround. 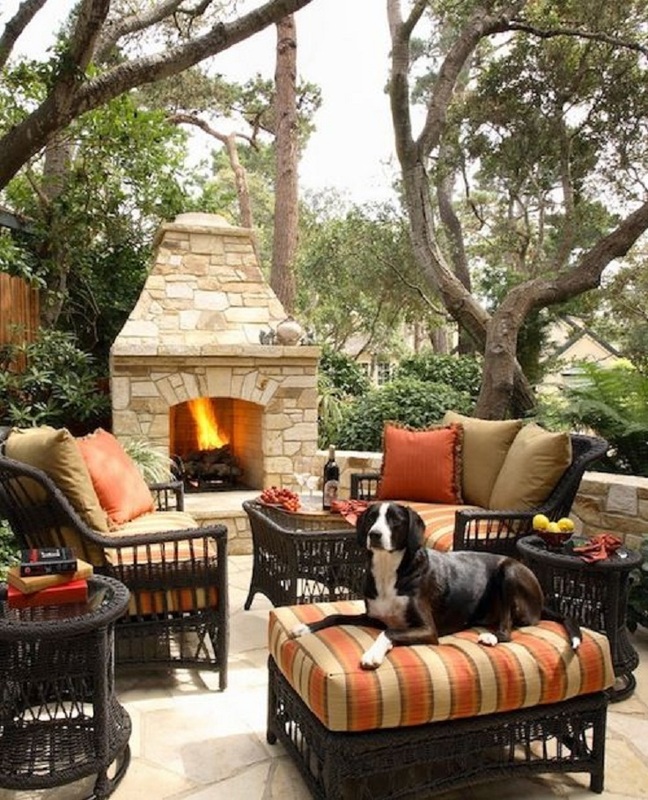 Fireplace, plenty of seating, and a handsome puppy will make for a perfect summer space. If you want to invite some friends at your house, then this patio will be perfect for throwing your own barbecue party. 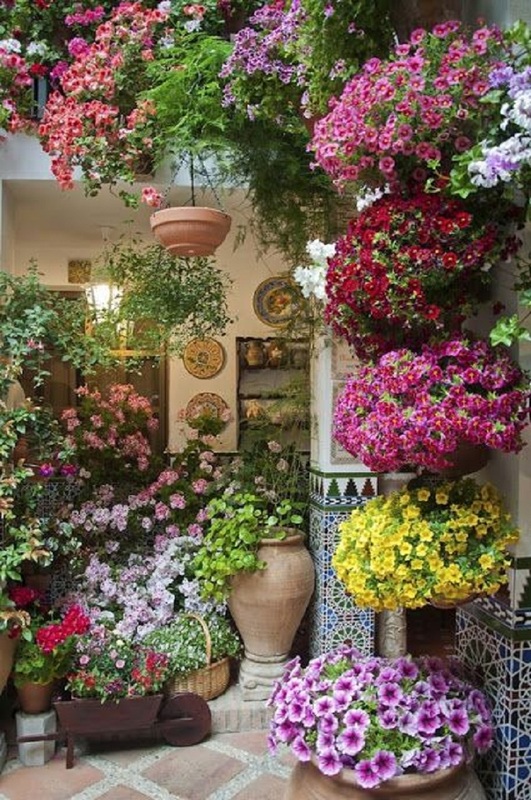 This patio is designed in a Mediterannean style. You can simply enjoy on these beds,while drinking a glass of wine. After all, a comfortable beds are all you need to bring a patio into life. 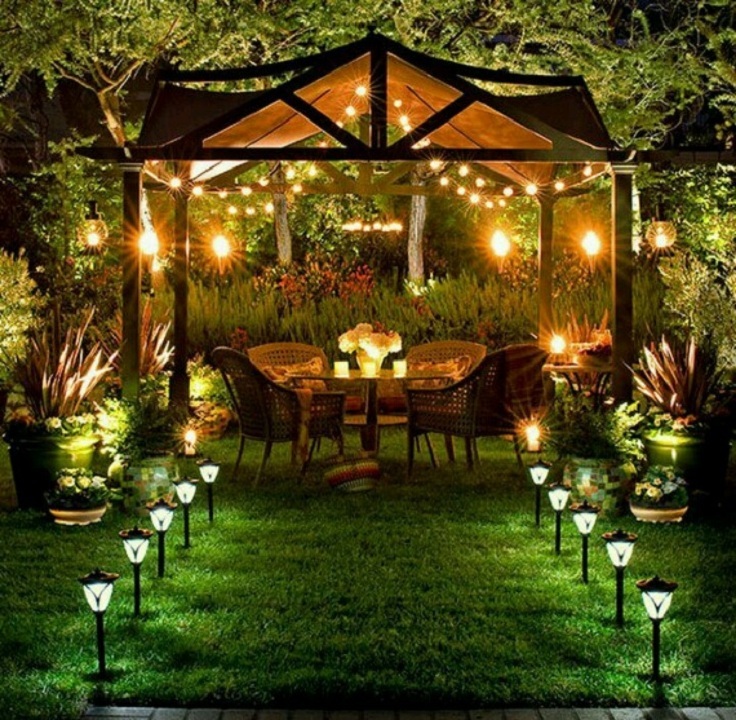 You can always give your patio a personality at night. You should add some ambiance to your favorite seating area, and the outdoor lighting can be just the touch of nighttime drinks your patio needs. 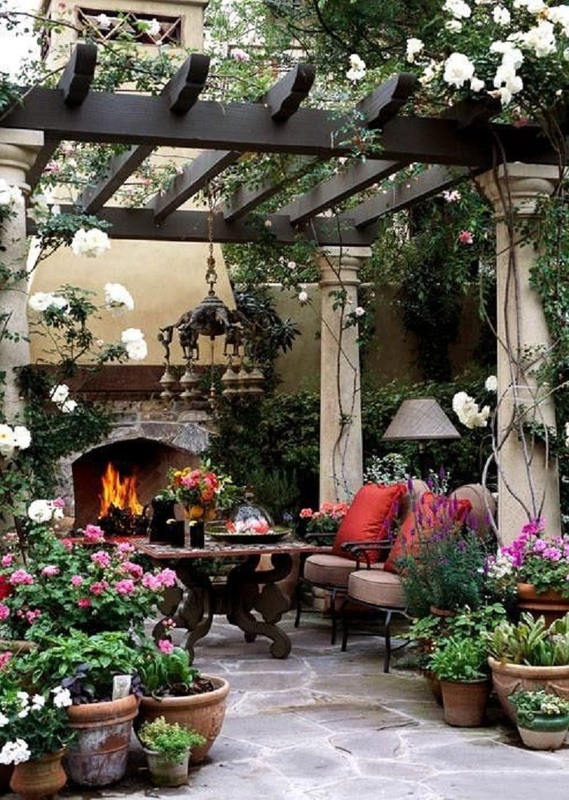 The red bed seats, the rustic wool table, and the flowers gives the look of a perfect patio spot. 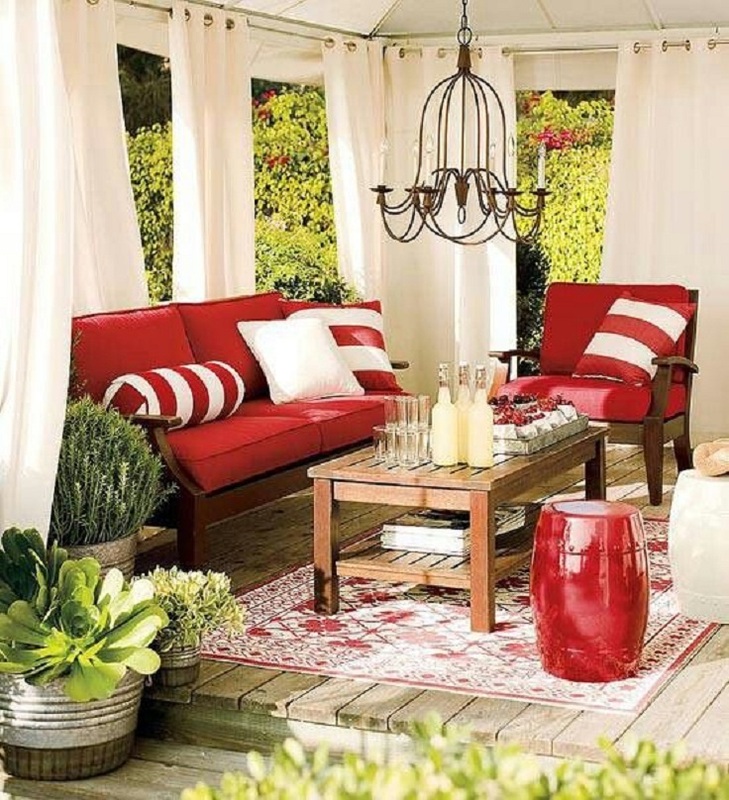 You can always steal the show with an outdoor chandelier in this rustic red patio area. 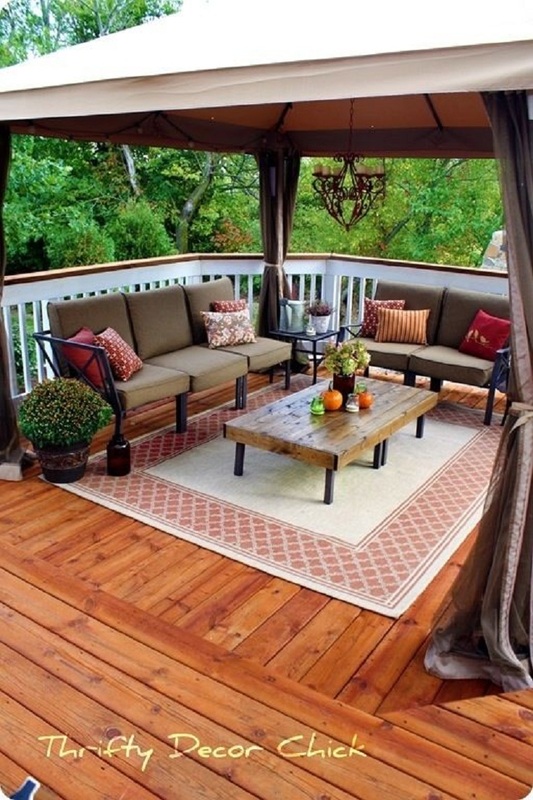 If you are a fan of the indoor furniture and fabrics, then you should create patio like this one. The carpet, the chandelier, and the wool furniture gives that warming and comfortable look. 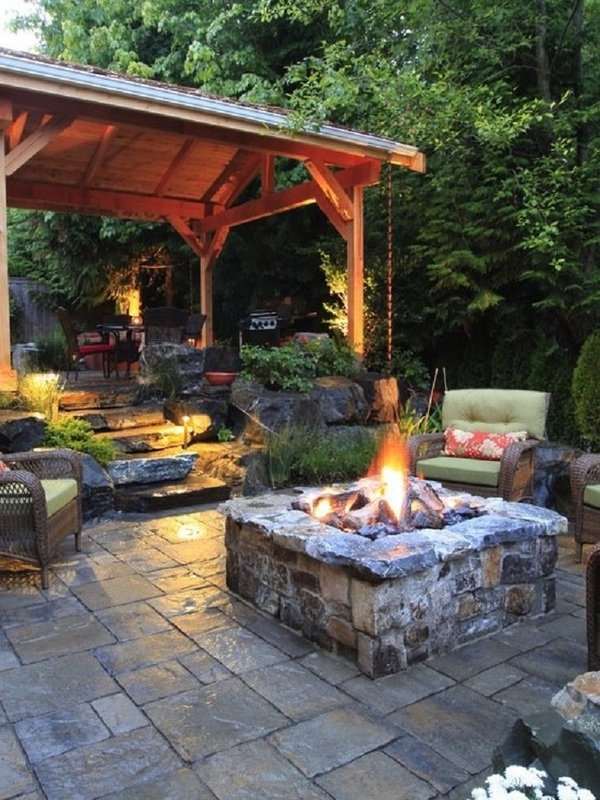 The wooden furniture and the fireplace would be a perfect combination for great patio idea. If you have an outside pool, you can use this idea to create your own pool patio. The calm atmosphere that this patio creates, will be a perfect relaxing spot. This patio design works in conjunction, as most good designs do, with a well landscaped backyard. The smell of flowers and the design makes for a nice, cool hideaway to spend a warm summer day. Gather around the fire with the kids late at night. 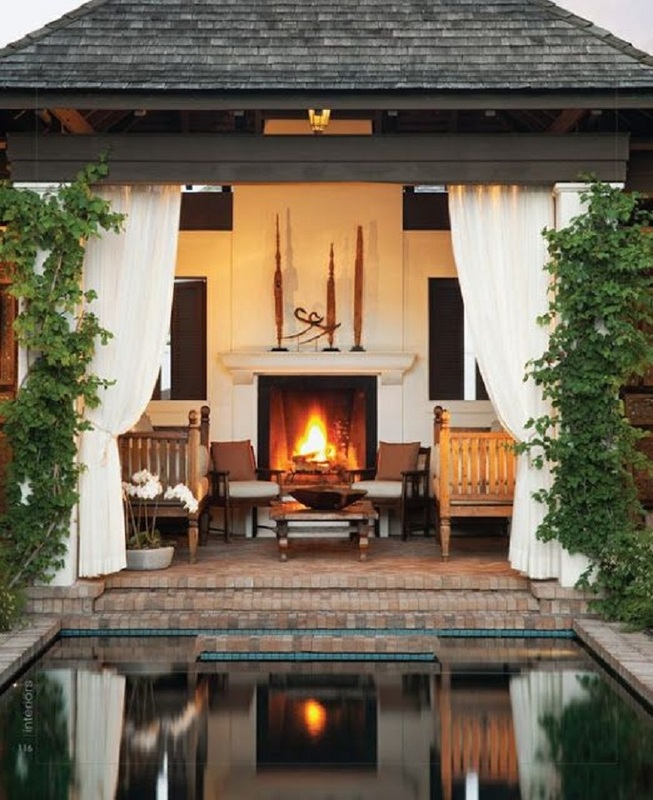 Perfect for toasting marshmallows in summer or warming your outdoor space in spring or fall, fireplace is a gathering place on the patio. 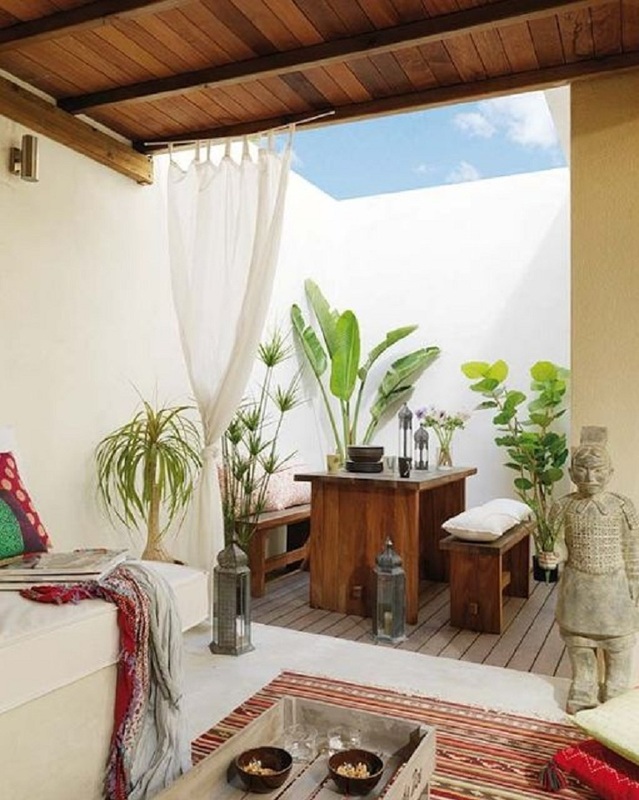 Patios utilized for outdoor living, or at least spending considerable lengths of time relaxing in the outdoors day and evening, are some of the best. Not only do outdoor fireplaces make fantastic centerpieces for your patio design, what a great way to spend a nice, cool evening with friends, with a roaring fire and s’mores had by all.